Singer/songwriter Melissa Manchester began her guest starring stint on The Muppet Show singing her anthem “Don’t Cry Out Loud” surrounded by clowns and other circus folk. She seemed most at home during her second number, “Whenever I Call You Friend,” made comfortable, perhaps, by her banter with guitarist Floyd performed by the disarming Jerry Nelson. By her last number, Manchester had hit her stride, appearing as Carmen in a Spanish-style version of “Your Cheatin’ Heart.” The rest of the cast did the comic heavy lifting in this episode – the Muppet Newsman was assaulted by both cows and pigs, Kermit was besieged by inept skiers and acrobats, the Chef dealt with an uncooperative chicken, and the Pigs in Space had an interplanetary communication problem. 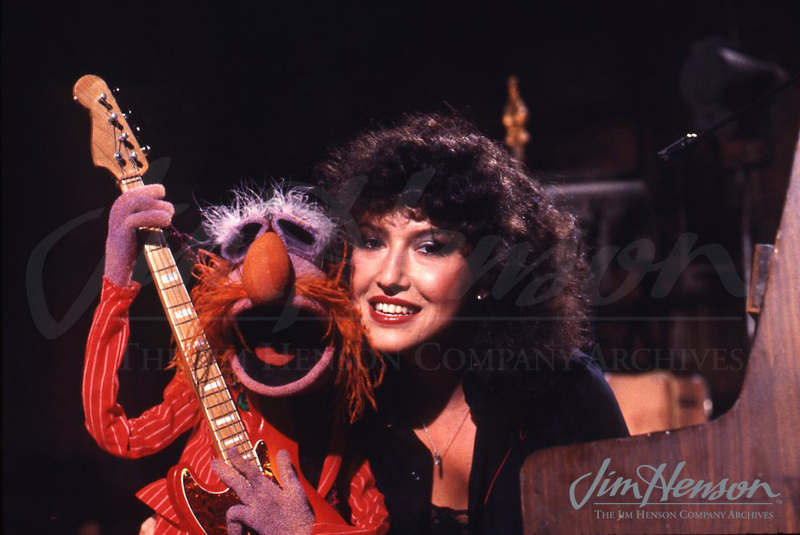 Melissa Manchester and Floyd on The Muppet Show, 1980. This entry was posted in 07-July '80, 1980, Muppet Show and tagged Jerry Nelson, Kermit, Melissa Manchester. Bookmark the permalink.